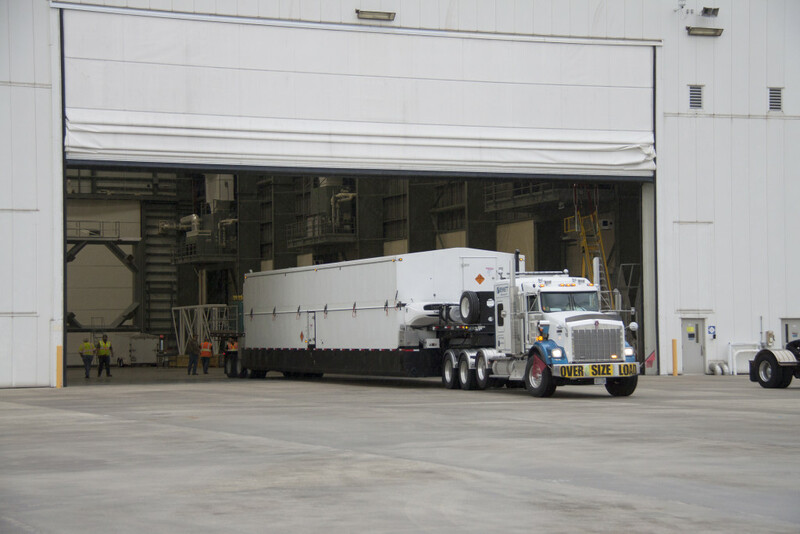 The Centaur upper stage slated to help deliver the next U.S. cargo delivery to the International Space Station is on site at Cape Canaveral Air Force Station in Florida. The upper stage will top the United Launch Alliance Atlas V rocket set to launch Orbital ATK’s Cygnus spacecraft on a flight to carry equipment, supplies and research to the orbiting laboratory in December. Following its Tuesday afternoon arrival, the single-engine Centaur was transported into the Horizontal Integration Facility at Space Launch Complex 37 to begin prelaunch processing. The uncrewed flight will be Orbital’s fourth commercial resupply mission to the station. It is targeted for liftoff Dec. 3 from Space Launch Complex 41.